RS Components stocks a range of PCB cutting, punching, forming & drilling products to meet your requirements. 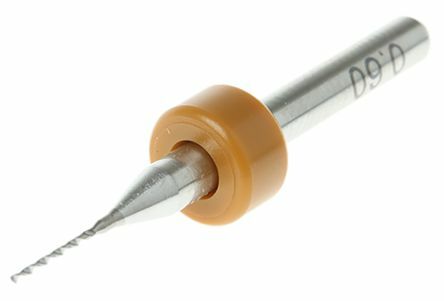 As well as an extensive range and various sizes of PCB drill bits. In this section you'll also find wire wrapping tools and PCB milling equipment. High precision milling drill and engraving bitHigh grade solid carbide remain sharp for much longer than standard steel bitsA high speed is recomended to produce good quality lines and avoid breakage. 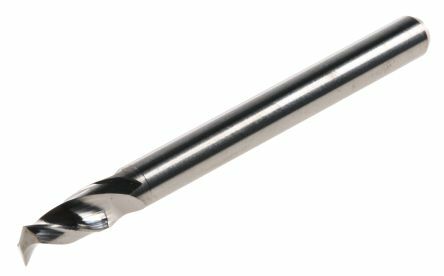 HSCo drill for small diameter drilling in most materials up to x2.5 diameterAll drills supplied on 1mm shankManufactured to DIN1899 Standards.